Despite the fact that all three generations of Google’s Pixel phones have been compatible with T-Mobile, Verizon has been the only carrier to sell them in the U.S. That might soon be changing, though. T-Mobile is getting ready to sell the Google Pixel 3 and Pixel 3 XL, according to a source speaking to 9to5Google. No other details are given, so it’s unclear when the launch might happen, but there is said to be some evidence that T-Mo is gearing up to sell the Pixel 3 and Pixel 3 XL. In addition to Verizon, the Pixel 3 and Pixel 3 XL have been available direct from Google, so T-Mo customers interested in those phones haven’t had an issue buying them. Still, it’d be nice to see the Pixel 3 and Pixel 3 XL be sold by T-Mobile, as it’d enable T-Mo customers to buy them on an Equipment Installment Plan (EIP). 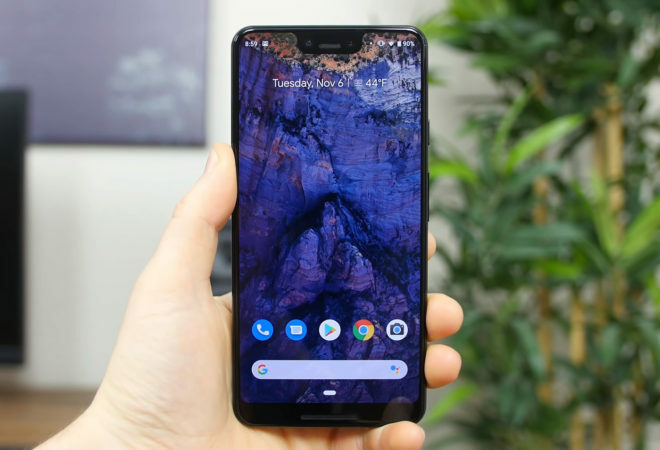 Many people still prefer to buy their phones directly from their carrier, so T-Mobile launching the Pixel 3 and Pixel 3 XL could make Google’s flagship phones an option for many more T-Mo customers. In other Google Pixel and T-Mobile news, today’s report also mentions that T-Mobile is testing the Google Pixel 3a for network compatibility. The Pixel 3a is rumored to be a more affordable, mid-range version of the Pixel 3 with features like a 5.6-inch screen, Snapdragon 670 processor, 4GB of RAM, and 2915mAh battery. Rumors have said the Pixel 3a and Pixel 3a XL could launch at Verizon this spring. It’s unclear if it’ll also eventually launch at T-Mobile, but today’s news suggests that it’ll at least be compatible with T-Mo’s network like previous Pixel phones have been. UPDATE: The folks at Android Police have chimed in with their own source who says that T-Mobile will sell the Pixel 3, Pixel 3 XL, Pixel 3a, and Pixel 3a XL. No launch timing is known, but T-Mo employees have reportedly described the timeline as being “very short” within the past few days. As long as they don’t delay updates (ahem.. like my OnePlus 6T) this will be a great thing. The TMO version of the OnePlus 6T not only doesn’t support dual-SIM but doesn’t receive updates nearly as quickly as the non-carrier locked. Agree. That is only thing holding back the 6t. Although many that are familiar with the process can make the tmobile version 6t be just like international and take all updates and be able to use the dual sim slot also. Planning on doing this once I pay off the device. I couldnt even wait til i paid it off…i just did and could not be happier, did the tmobile unlock app and once that was done turned into international version! Nice, I have tried the unlock app a couple times and it keeps telling me that I am not eligible yet. Once I get unlocked, I am planning on moving to the normal International Rom. Is there anything you lose this way like RCS or band aggregation specific to TMO? As for updates – it’s a Google phone; Google will control those. The tmobile Nexus 6 did have delayed updates. Any delays, iirc, were mere days, not the standard carrier delay of months. Regardless, you could always flash the image for the Google store model and rte-lock the bootloader for the stock-from-Google experience. I believe that google released it pretty quickly but Tmobile would then take it and run it through some kind of approval process which would then take a while. Mine took usually a month or longer to find and pull down whatever the latest update was. I guess I flashed mine over to the Google-store version right away. Nice! Hopefully I’ll be done paying off my Pixel 3 XL by time the 4 XL launches! I pre ordered mine from Google back in October. I used to get the Nexus phones back when T-Mobile used to offer them. I’ve owned the Nexus 7, Nexus 4, and Nexus 6. I’m a huge pure Android fan! Either Google is starting to get desperate or they’re getting wised up. Should have done this long ago. Still, this is a buggy device at launch. Don’t know if all the kinks got worked out or not. Not getting one, regardless. Mmmmm,not sure when this phone came out,not about to Google it to findout,but since everyone is following Apple for some unknow reason,is not Pixel 4 due to come out soon? Not getting one either way,3 or 4.